The ability to print fine details with exceptional surface quality is one of the key advantages of using stereolithography (SLA) 3D printing. With increasingly affordable, scalable printers available, more engineers and product designers are choosing desktop SLA over traditional forms of additive manufacturing. Laser-based 3D printing from the desktop allows for a faster way of prototyping that is extremely precise and accurate. Understanding material options and how to optimize the part-to-print workflow is essential to get the most value out of 3D printing. 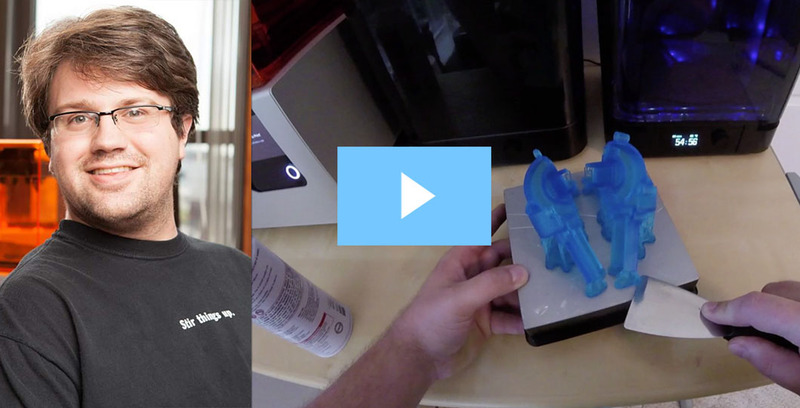 In this webinar, Kevin Gautier, Channel Application Engineer at Formlabs, will walk through the SLA 3D printing workflow from initial concept in CAD to finished physical part and explain SLA material properties.